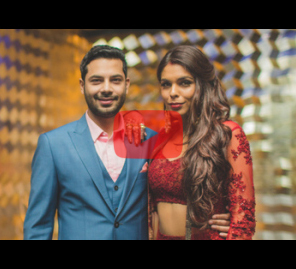 Opulence and grandeur were the ruling themes at this couple’s wedding in Dubai. 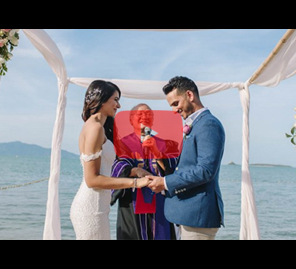 Amo and Raj’s wedding trailer is palette of luxury – hues of gold, emerald, ruby and sapphire suffuse the film that features their destination wedding at the wonderful Jumeirah Zabeel Saray in an extravagant celebration of their romance. The scene opens to a luxury 4WD that glides like a dream over the crests of golden dunes in Dubai. The music swells as the scene fades and a song about love and desire is soundtrack to our introduction to the couple. Raj has princely calm and poise. The bride blushes, radiant in anticipation of what is to come. The viewer is then taken to the grand celebrations at the Jumeirah Zabeel Saray on The Palm Jumeirah and The Palace Downtown Dubai. The luxuriously designed Jumeirah Zabeel Saray perfectly fits the mood of the video and enhances its aesthetics of modern royalty. Saffron Studios weaves together some of the most significant moments featuring the couple and takes you on a journey through their heartwarming nuptials. From poignant visuals of their Anand Karaj (Sikh Wedding Ceremony) at the beautiful Dubai Gurdwara to expansive shots of the glittering desert city where the two enjoy each other’s company, the story tells itself. Using slow motion to enhance the emotional atmosphere, the single track through the video holds the entire narrative together, seamlessly weaving aural tempo with visual temperament. There is no need for words – the music, the pictures, the love evident in every frame, says it all.